Bass players have historically worn many hats. To be able to stop on a dime, keep it all together, and let it groove, is no easy undertaking. Anyone who has ever listened to Motown understands this whether they know it or not. James Jamerson’s driving bass lines provided the solid backbone for countless masterpieces. 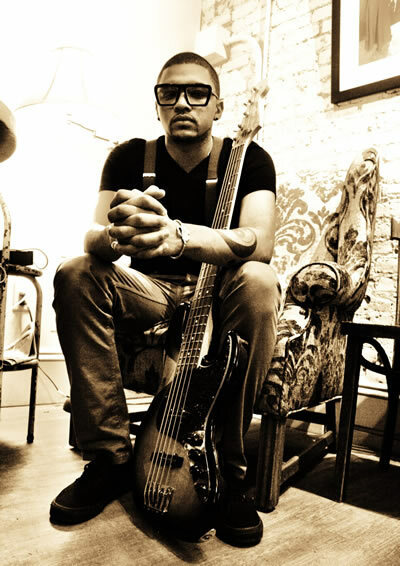 His take on Stevie Wonder’s “For Once in My Life,” with no two bars of music alike has been a beacon for many a bass player. Larry Graham’s pulsating groove on “Thank You (Falettinme Be Mice Elf Agin)” was the perfect backdrop to Sly & The Family Stone’s funk melody. It takes a special kind of player to gracefully walk the line between improvisation and precision. When a bass player possesses the unique ability to balance shape and form with heart and soul, something beautiful is born and you can feel it. For that same reason, iRock Jazz was drawn to 22-year old Philadelphia-native, Gizmo, who, at such a young age, has already graced the same stage as The Roots, Meshell Ndegeocello, Talib Kweli, and Victor Wooten. 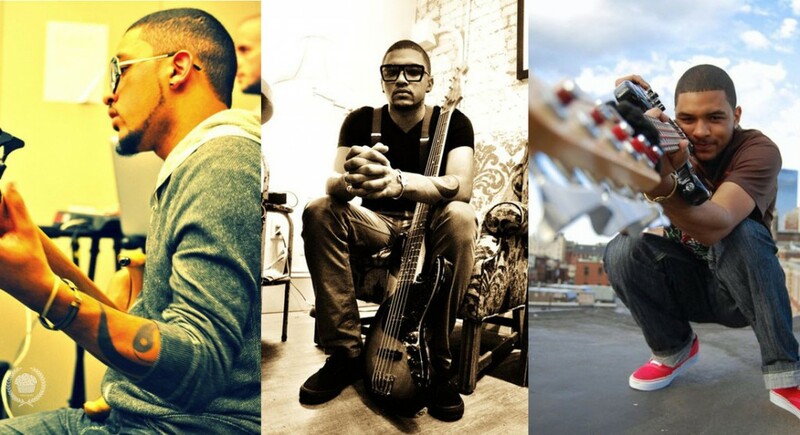 When not performing, Gizmo is ensconced in music direction for artists such as Lalah Hathaway and Bilal. iRock Jazz sat down with Gizmo to talk about his influences, song-writing process and his multiple roles in the music industry. iRJ: You do so much in the music business. Do you consider yourself more of a bassist/composer or a music director? In percentages, how would you divide up what you do? Gizmo: Well, at heart, I’m a bass player, always and forever. But percentage-wise, I’m an artist about 50 to 60 percent of the time, working with my band cultivating the right sound. The rest is divided up between music directing and bass playing. I play bass for Zap Mama right now and I’m doing some music direction out here in L.A. So, I keep it moving. iRJ: You’re part of the new crop of young musicians who embrace jazz, but don’t necessarily own it, but just identify themselves as musicians. You’re a part of that movement with Derrick Hodge, and Casey Benjamin. Could you tell me a little bit more about that movement of musicians that are basically coming from the genre of jazz but are embracing other cultural mixes and are making this new, groundbreaking music? Gizmo: Yeah, I’m a huge fan of it. We all grew up in the Hip-Hop generation. That was such a strong force for us whether people liked it or not. Growing up, it would be impossible for it to not be a part of us. Especially, being young black males and females, it was such a heavy influence. I think a lot of it stems from the combination of jazz and hip-hop. For me, jazz was in my household growing up. The combination of the history and the lineage of jazz combined with what was going on while we grew up led to this evolution, along with other pop influences. 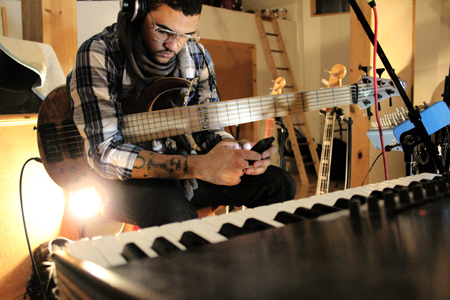 Many of the musicians you mentioned produce or play bass for pop artists, so there’s that aspect as well. iRJ: Your generation of musicians are really about non-conforming, so you’re the millennial. How much does that affect how you create music today and those you’re trying to attract as new listeners? Gizmo: I don’t wanna speak for all of them, but for myself, I don’t think about it too much. For me, I just do what I can with my music. My ability and my passion for writing and composing, and singing and playing is an undeniable combination of multiple genres that I grew up listening. So, when I write and compose, I don’t come from: this is jazz or let’s try to attract this group or anything like that. Not now, at least. It is what it is. I write music off of what I feel as cliché as that might sound. I don’t really write music that much. 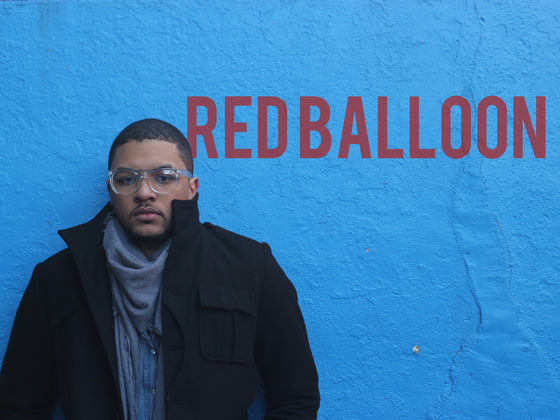 When I put out our first record, “Red Balloon,” I had songs that I recorded over the last few years that we ended up putting into a project. It was then that I wrote a little bit for the EP we released. Again, it just comes from whatever life experiences I’ve had or where I’m at. When I wanna get a project done, I just put it together. That’s really as deep as the thought process goes from a business standpoint. I don’t know how my other peers work, but for me it isn’t a conscious thought of combining anything, it’s just what I want to hear and we get it down. iRJ: It seems that many of the musicians inspired by jazz have embraced hip-hop. But, do you think that the hip-hop generation is embracing jazz? Gizmo: From a traditional jazz perspective or more of a purist perspective, not really. I think a lot of times, people really force the jazz connection with black music because it’s there underneath everything. I mean, when you go back to the roots, it’s an undeniable component of black music and popular music in America in general. But I don’t feel there’s as much of a direct connection to traditional jazz as the media makes it seem these days. I also think the term jazz is defined differently now. It’s used loosely now a lot and I don’t necessarily have a problem with that, but the need to categorize things as a society always causes this kind of conversation. When you look at the kind of music people are making now, I don’t necessarily think of it as jazz when I hear half the things that are classified as jazz from a traditional perspective. But from me being me, and being 22, that is the jazz of today. So, it depends on how you look it. iRJ: When you said “jazz of today,” do you feel the standards of music are changing? Are there new standards? Gizmo: My initial reaction is that they aren’t really new standards. I think it’s still being defined, as of today. Maybe five or ten years from now, there will be, but right now, I think it’s still being defined. If it’s just the American Songbook period, then it would have to be pop music right now. I don’t even know if jazz is even in the conversation, sadly. iRJ: When you think about jazz musicians making music and not selling as much as popular music and when you look at how Beyonce released her latest album, how do you think that might change how musicians release music? Has it set a new precedent for how music is going to be delivered? Gizmo: For platinum-selling mega artists, maybe. For jazz musicians, not really because there’s no way we can tell. Maybe there’s a way, but the odds of us just dropping something out of the blue on the Internet doesn’t work because of the fan base. Just in terms of numbers, it’s not the same as a Beyonce or someone like that. We’re still at a point where the labels are trying to get the masses to even come to our music in the first place to cultivate enough interest so we can sell records and tour. The Internet right now isn’t a medium that works for most of us until we garner more fans. You have to have enough people looking to do what Beyonce did in the first place. iRJ. Why does your music matter? Gizmo: My music matters to me because it’s a direct, honest expression of my perspectives on life and just only for that reason. Why it matters to someone else, I have no idea (chuckles). I think I have a unique perspective on music, because as you stated earlier, I present something that people interpret as genre-blending because I’m a little bit younger. Speaking from my generation, I feel like I’m bringing a new, younger voice to this newer movement that is kind of just starting. iRJ: And as a follow up to that answer, does ten years in a musician’s life (from one musician to another) make that much difference in music? Gizmo: Yeah, definitely. No doubt. Ten years ago, I was 12. So, I wasn’t even playing music ten years ago at all. I mean, there was music everywhere around me, but I wasn’t a musician. Looking ahead ten years from now, when I’m 32, I think there will be a phenomenal difference, good or bad, in my abilities as a musician, songwriter and performer. iRJ: Let’s take that one step further. In ten years in music, does it grow that much and not just by the musician, but just the music? Or, do you think the music in ten years will eventually become iconic and stand out or become a fad and come and go? Gizmo: I think it really depends on the artist. I mean, Stevie’s still Stevie, MJ is still MJ and even more recently, D’angelo is still D’angelo and he hasn’t put out a record in probably ten years. But, he’s still here and iconic. So I feel like good music will always outlast the rest and that always works itself out in time. There are so many different types of music now too. With the incorporation of new technology, the music industry is shifting a lot (at least in the pop world) into a new kind of sound, which is kind of a rebirth of the 80s. So it’s going to be interesting to see what’s going to last or not. But, we do change really fast. I feel like, from the pop music perspective, one thing is hot this month and then the next month, it’s not hot anymore. I have no idea what music is going to sound like in ten years (chuckles), but I think that’s a good thing because it’s evolving and people are trying different things and there’s so much out there that people didn’t have access to before and I think that’s amazing.